CarePlus Dental Plans is Wisconsin’s trusted group dental insurer serving hundreds of Wisconsin businesses. When you choose CarePlus for your clients’ dental coverage, you’re selecting a group dental plan that will deliver the best care, quality, and value. Dental Associates, Wisconsin’s largest family-owned dental group, is the preferred provider of CarePlus Dental Plans. Not only will your clients receive premier dental benefits, but they will receive excellent service as well. Cost savings for employers and employees. 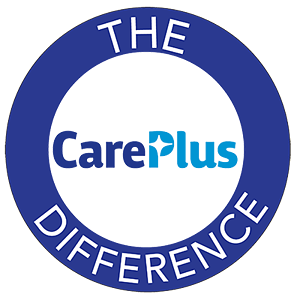 CarePlus is designed to save up to 15% on group dental premiums while enhancing plan benefits. Customized dental benefit plans. We recognize each company is different, so we offer to create customized dental plans to fit your clients’ need and budget. We work with you to maximize benefits while keeping costs low. No waiting periods. With CarePlus, dental coverage begins immediately. Integrated care. We’ve eliminated the need for out-of-network referrals by offering all services in a convenient group practice setting through Dental Associates. This includes general dentistry, as well as specialties like pediatric dentistry, orthodontics, dentures, and oral surgery. Comprehensive dental care is offered from one brand, and often from one all-encompassing dental center. Partner with a family-owned, Wisconsin-based company. CarePlus Dental Plan was founded in Wisconsin and is based in Wauwatosa. Our provider network is also local and family-owned, with 14 convenient dental centers throughout Eastern Wisconsin.